France opened their defence of the Five Nations title with a solid but unspectacular 11-3 win against Scotland at Murrayfield. But the match turned on a piece of gamesmanship when, with the scores tied 3-3, on the hour Scotland's lock Mike Campbell-Lamerton was manhandled by two Frenchmen - Michel Crauste and Alfred Roqucs - and Lamerton promptly retaliated with a backhander to Cravste's head and the Frenchman, so reported the Daily Express, "went down magnificently, with enough gestures to win an Academy award twice over". Fly half Pierre Albaladejo slotted the resulting penalty to swing the tide back the French way. "Of course. Craoste wasn't really hurt," Lamerton said afterwards. "I was the one who really copped it. But I don't blame the referee. I did hit Crauste, although it was no more than reflex action." English rugby briefly faced chaos after the RFU lost control of a meeting in Birmingham called to discuss professionalism. Around 1000 delegates from clubs around the country delivered the establishment a bloody nose by electing their own man to the role of chairman of the executive council, Cliff Brittle beating John Jeavons-Fellows by 647 votes to 332. They also managed to force another meeting to discuss whether the sport should go professional which could have forced the RFU to withdraw from the IRB or, more likely, the leading clubs to split from the RFU. Wales, fielding seven forwards and eight backs for the first time in a Championship match, defeated England 16-3 at Richmond. Two of the four Welsh tries were contentious but that could not hide the dominance of the visitors who penned England into their own half for the entire first half. An unusually large media presence at Tyneside to watch Newcastle Falcons. But the rugby was incidental to them, numbers swelled by tabloid journalists who sensed a story, and got one too. Cricket legend Ian Botham was the man in the spotlight as he turned up to watch son Liam accompanied by "grim-faced" wife Kathy days after it has been revealed he had been having an affair with a woman in Australia. "It looked colder in the stands than it did on the pitch," one spectator told the Daily Mail. France staged their first international at the redeveloped Parc des Princes national stadium in the south-west of Paris and opened with a win as Scotland lost a tight game 16-13. It was a stop-start affair with 34 penalties in all and a long delay caused by the retirement of referee Ken Pattinson who pulled a calf muscle in his first international. 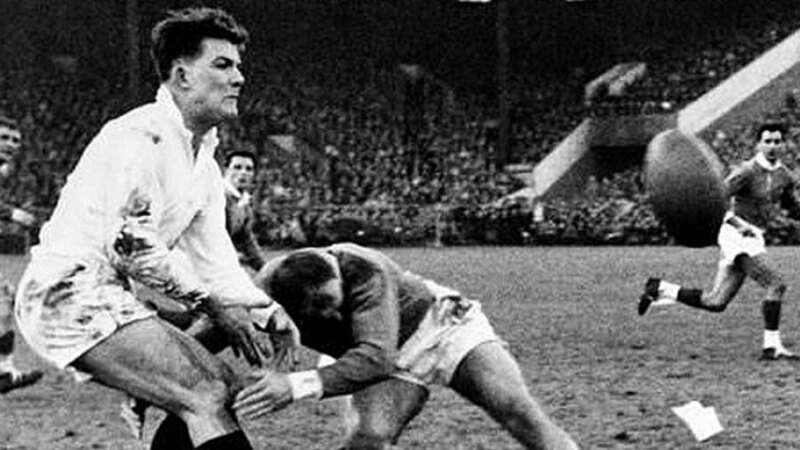 Northampton fielded six England internationals but lost 14-0 in a classic Anglo-Welsh encounter at Neath. For the Saints it was only their second defeat of the season. The All Blacks were lucky to escape with a win from the last match of the Irish leg of their tour. A last-minute try by John Tanner saw the New Zealanders to a 6-3 triumph over Munster at the Mardyke Ground in Cork. Tony Ward's two penalties and drop-goal and Seamus Deering's try inspired a lively Munster performance against the Wallabies. The tourists won 15-13 in Cork thanks to 11 points from the boot of Paul McLean. SA Rugby announced the formation of a new franchise based in South Africa's Eastern Cape, with the eventual aim of playing in the Super 14. Their eventual debut came as the Southern Kings, against the British & Irish Lions in June 2009 at the Nelson Mandela Bay Stadium in Port Elizabeth. The Kings did not succeed in gaining access to Super Rugby, though, losing out to the Melbourne Rebels late in the year.